Injury mobile app is very useful for your injured and potential clients so that they could communicate to you/your law firm in a faster and effective way using their smartphones. It provides a user friendly option for the clients to submit case informations like photos, audios, videos, notes with much ease.  App integrated with social networking feature acts as a great marketing tool for the attorneys. 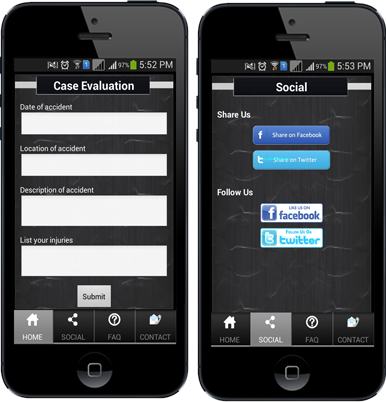 Injury mobile App allows your clients to promote your legal practice to others. Your attorney app is always visible on your client's smart device home screen. Clients can find your office easily by using the mobile app GPS map feature. Clients can capture claim photos, videos, eNotes and witness statements. Applications and survey forms are always available for immediate download. Clients will never seek for another attorney because you are one click away.